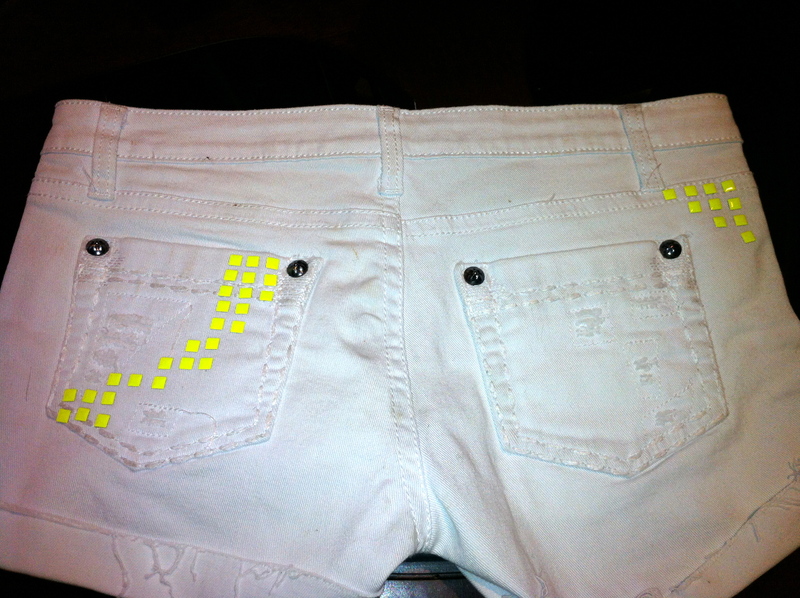 Loftiss says “Make It Work” Monday: White to Neon! 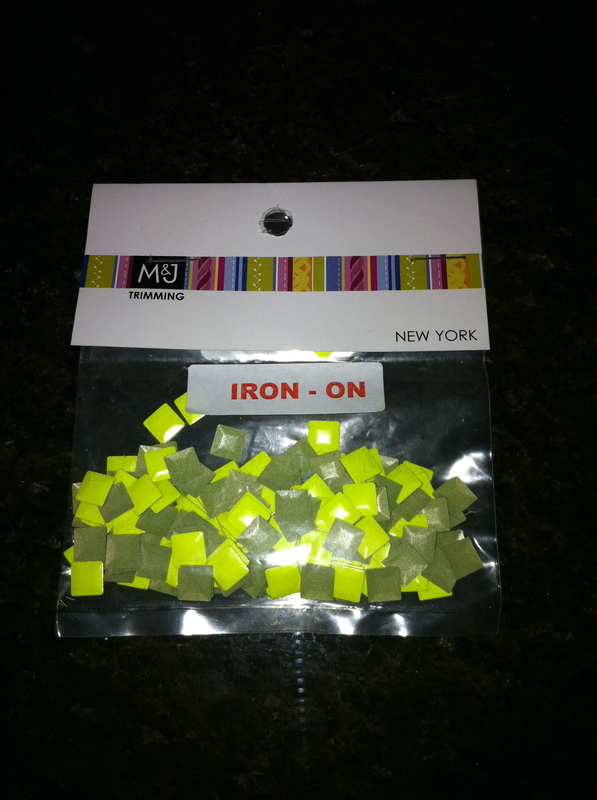 While shopping for supplies back for Fourth of July I was at M&J and came across these fun iron on squares. I had no idea what I would do with them but decided to buy them anyway. 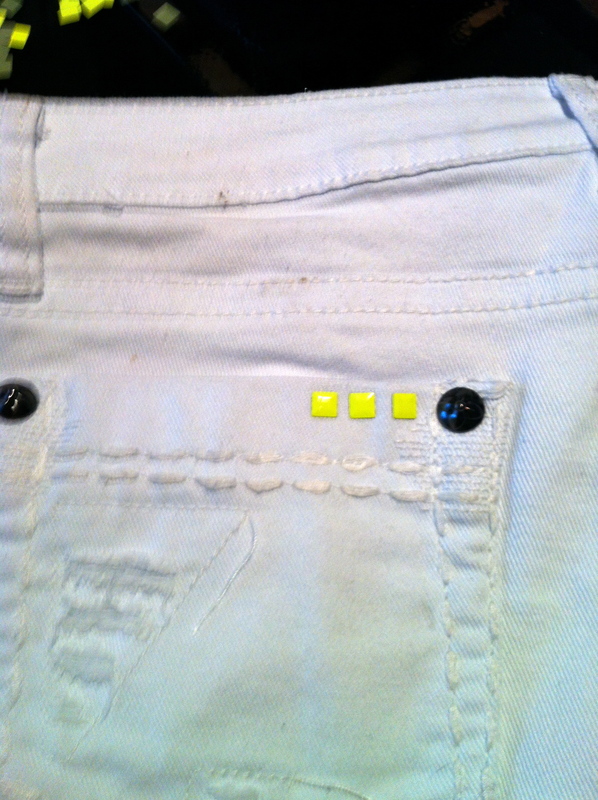 I hopped on the internet and brainstormed some thoughts for my neon yellow squares. I loved the idea of this! 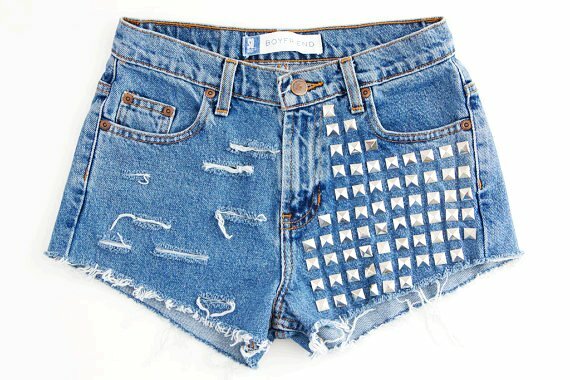 And my ironable squares would be sooo much easier than studding shorts. Done! While on a random zipcar trip to Jersey I slipped into a TJ MAXX. As always I left with a bad of goodies. 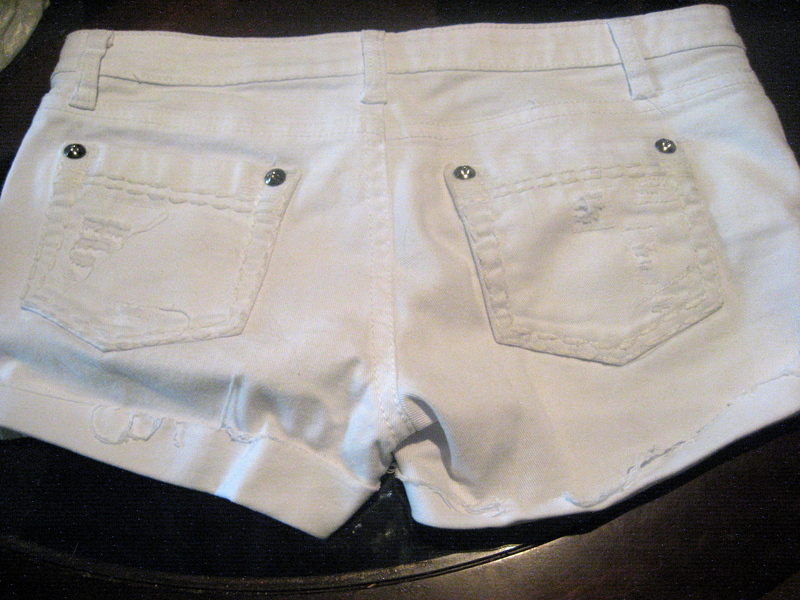 I found these darling white summer shorts. This would be the perfect canvas for my neon squares. 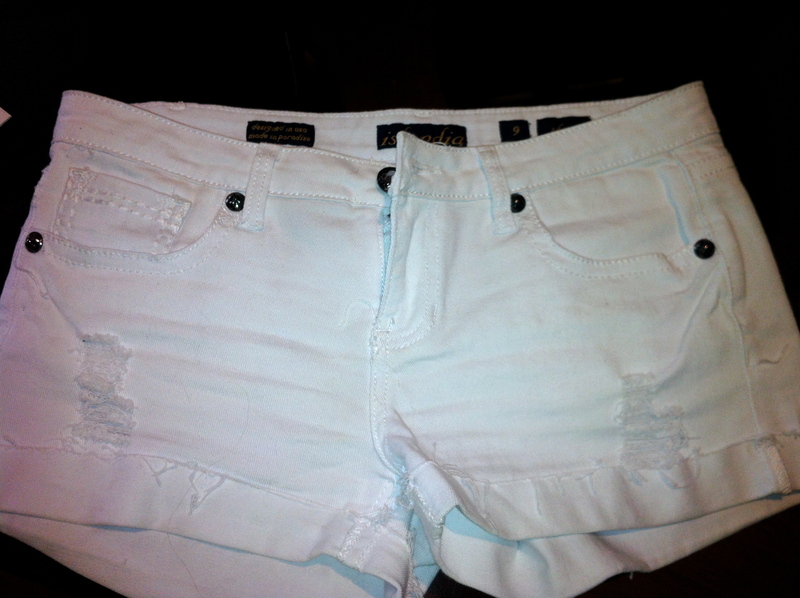 ummm did I mention they were only $10???!?!?! 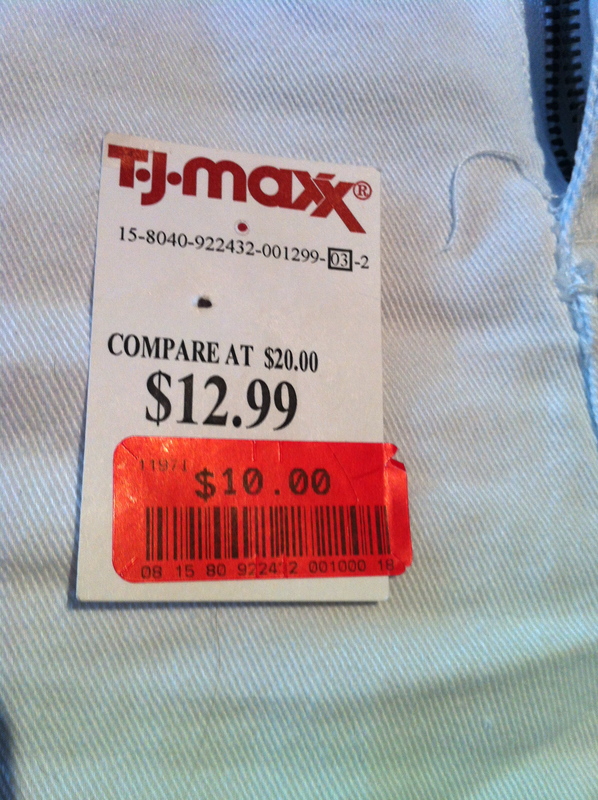 I LOVE TJ MAXX!!!!! Since I had no idea how well these squares would stick to the fabric I decided to practice on the inside of the waistband. After knowing exactly the right about of heat and pressure to add I was ready to begin. I made up the design as I went. I would do one row at a time then apply heat. 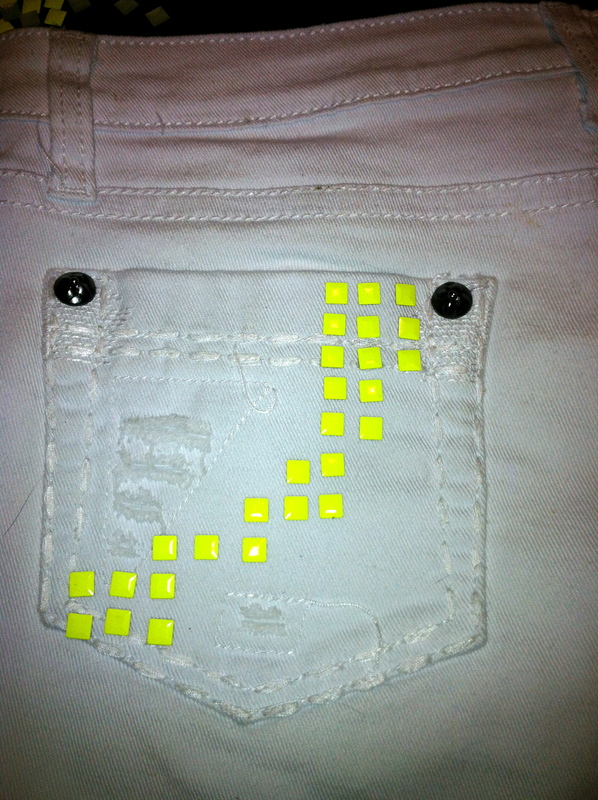 I wanted to ensure that each square was angled correctly and was securely attached to the shorts. HINT: Start with the back. Again if you mess up- you have more leeway on the back. 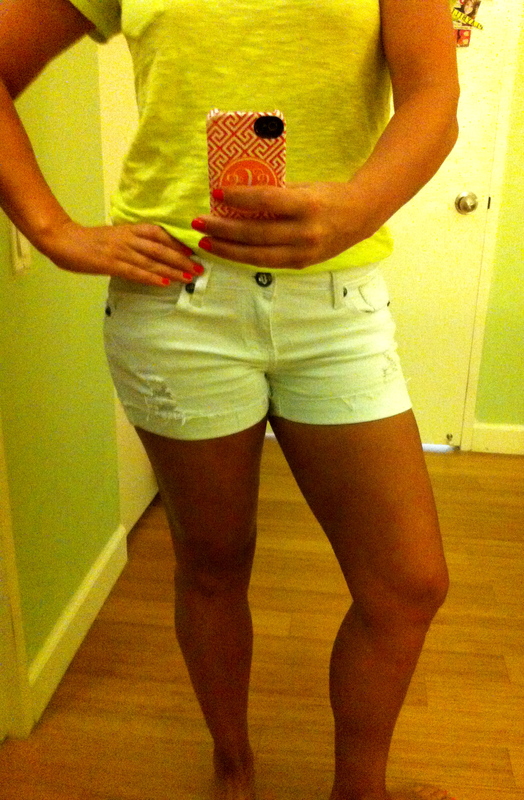 I didn’t want to overwhelm the shorts with neon. I just wanted a HINT of neon! 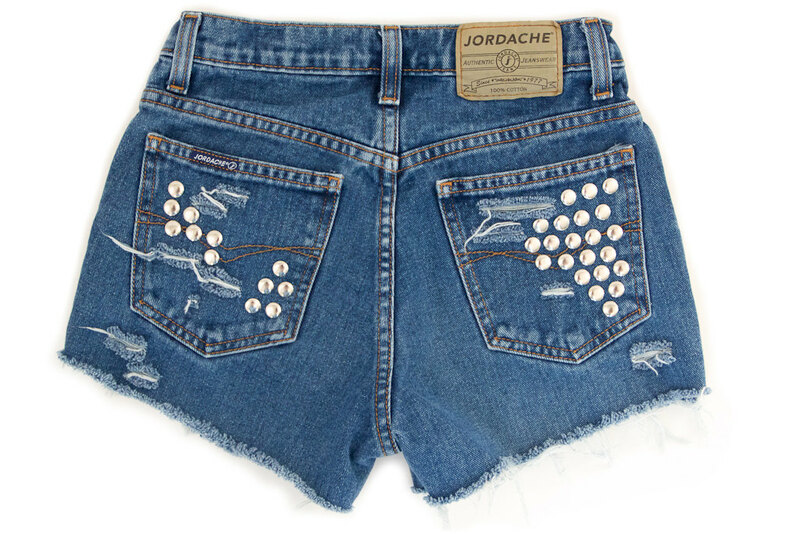 Price for personalized shorts: $13!!!!!!! 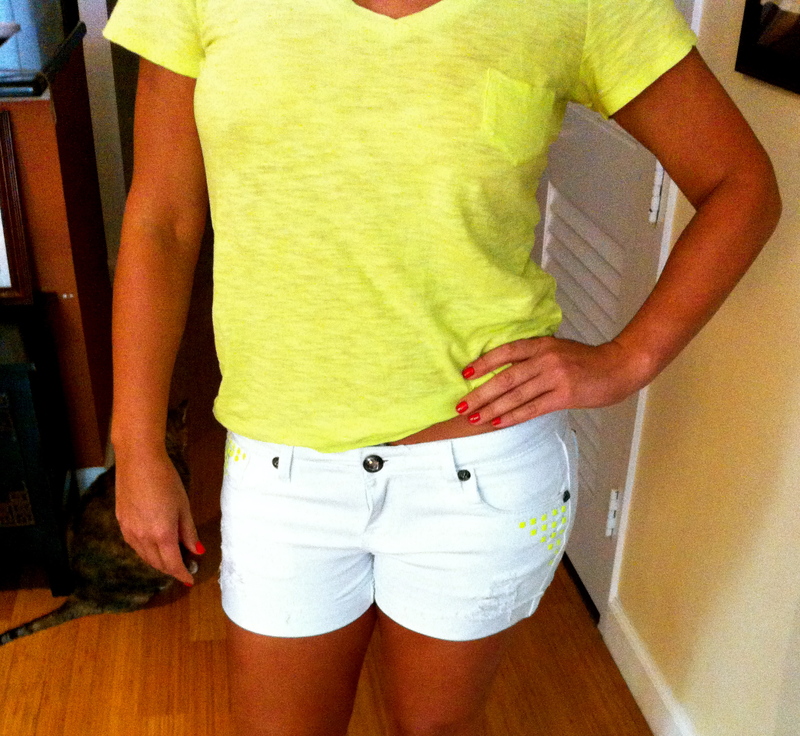 In honor of my Neon Birthday Party Sunday- read here! 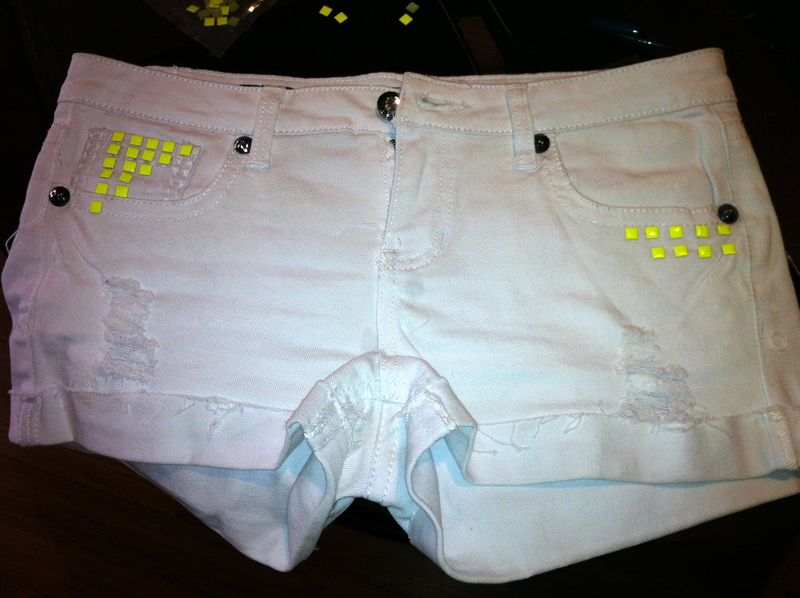 Tags: DIY, Make it work, Make It Work Monday, makeover, makeover tips, neon, sale, shorts, T J Maxx, trend, trendy. Bookmark the permalink. Super cute and great idea!! Thanks for sharing. 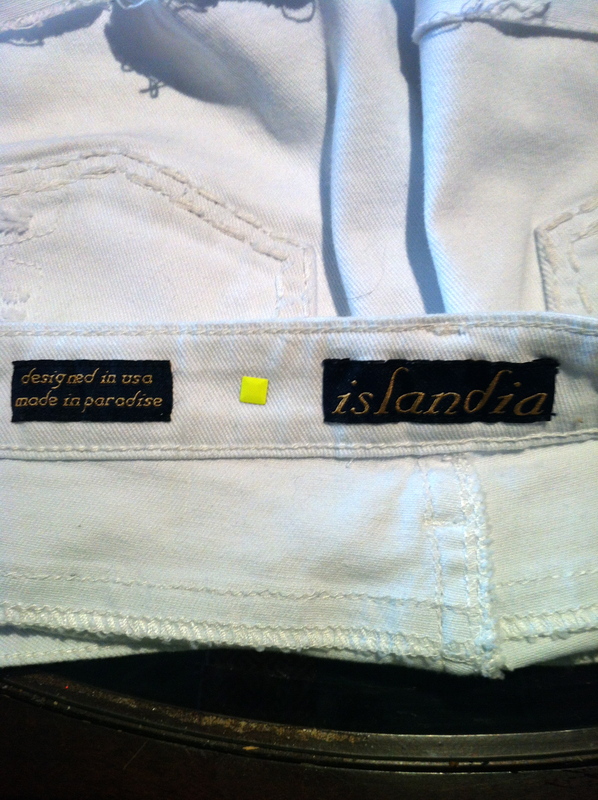 I ADORE your shorts! Super cute and fun without being to “trendy”. I will be trying this, I was in need of a craft day anyway 😉 Thanks for sharing! Yes! 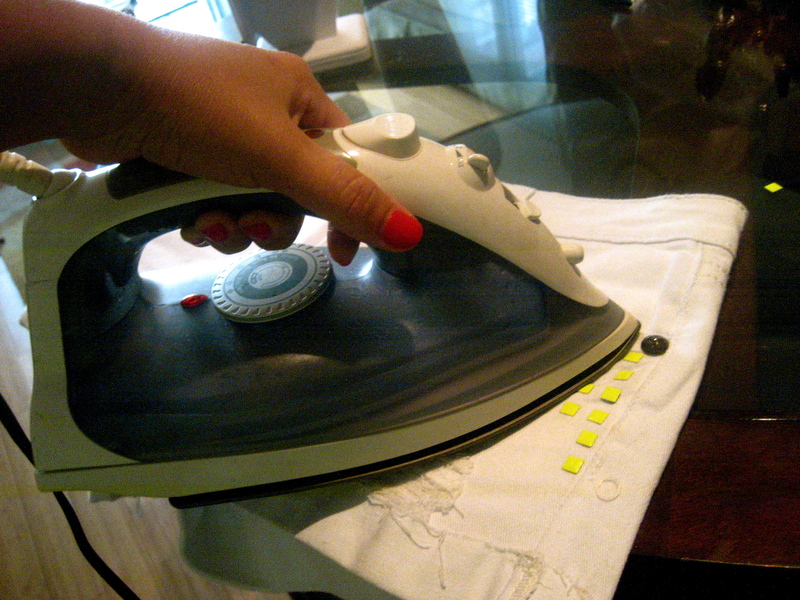 Just make sure you place the iron long enough on each section. Send me pixs when you are done!